Thanks to Merak, you will manage your government archive more efficiently than ever. As a government organisation, you will undoubtedly be confronted with the pressure of managing your information efficiently in order to reduce your operating costs. Merak can assist you with this. We store your paper and digital documents 100% securely, and we offer specialised all-round services which will take a lot of work off your staff's hands. At Merak you enjoy the most complete service. At Merak, your documents and information are 100% secure. No single staff member has all the keys needed for requesting and tracing the contents of your archive boxes. Moreover, access to our archive spaces is strictly restricted and stringently secured. Merak archive boxes don't mention a company name, department or contents. Your archive is linked to a unique barcode. This means that we can archive all your confidential data anonymously, and thanks to the smart barcode registration system we always know where each document is located. 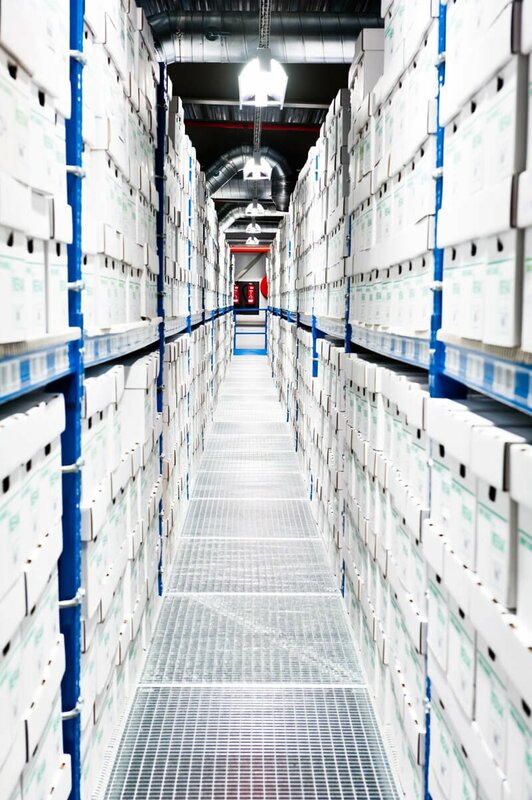 Our Merak archive experts help you manage your archive efficiently. They analyse the existing information flows within your organisation and suggest steps for simplifying them. The result: you save administration costs and you take a lot of worry off your staff's hands. Merak has its own secure courier service. They deliver your documents and archives wherever and whenever you want. 7 days a week, 24 hours a day. This means that we can guarantee that your archive is always quickly on location, even in emergencies and under time pressure. Do you no longer need your documents, or has the legal retention period lapsed? Merak not only guarantees the secure storage of your documents, but also the professional, definitive and 100% reliable destruction of your paper archive. So you can be certain that no one can abuse your confidential data afterwards. We destroy your paper documents securely and confidentially. With our professional archive boxes you will protect your documents against all external influences. Distribute and digitise your mail more efficiently with Merak Mailroom.